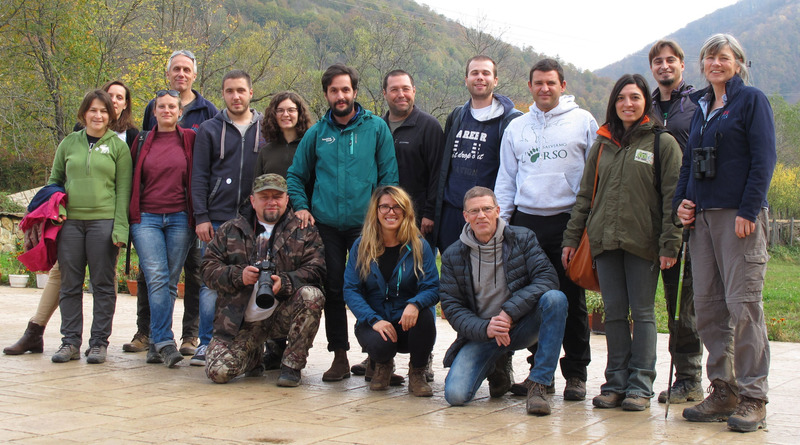 With sixteen participants from nine countries, the four-day course gave all involved valuable new insight into many aspects of nature education. 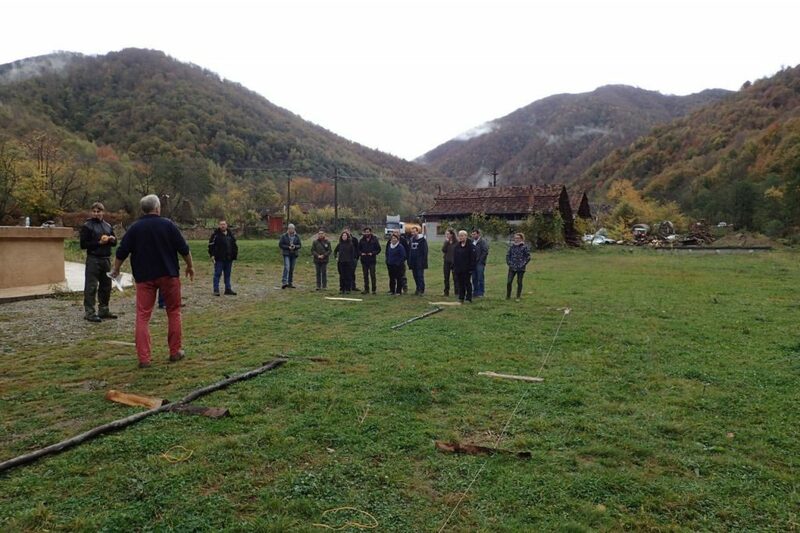 This will enable more effective communication on rewilding and wild nature right across Europe. 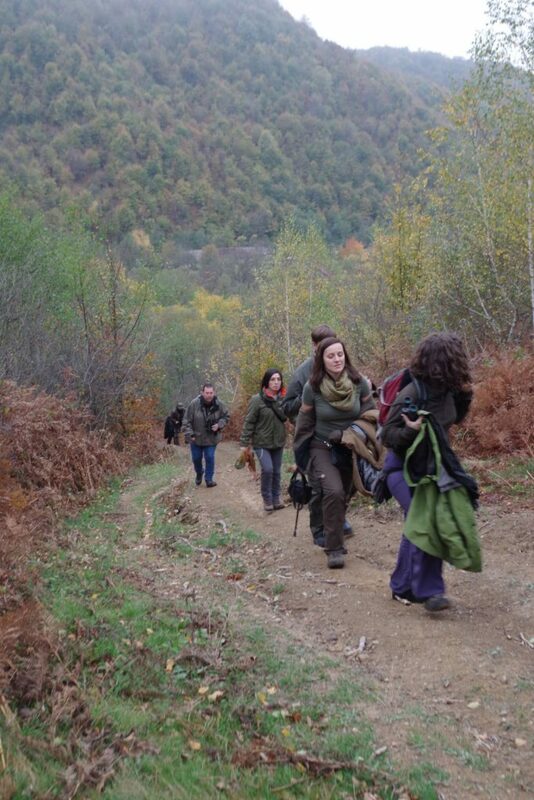 Participants of the four-day international course on nature education organised by Rewilding Europe and ARK Nature. 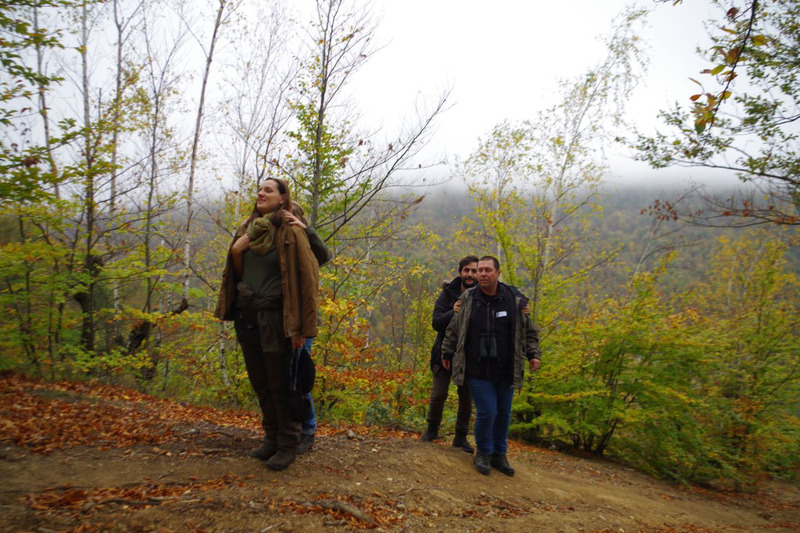 This October Rewilding Europe and ARK Nature organised a four-day international course on nature education in the small village of Borlova, located in the Southern Carpathians rewilding area in Romania. 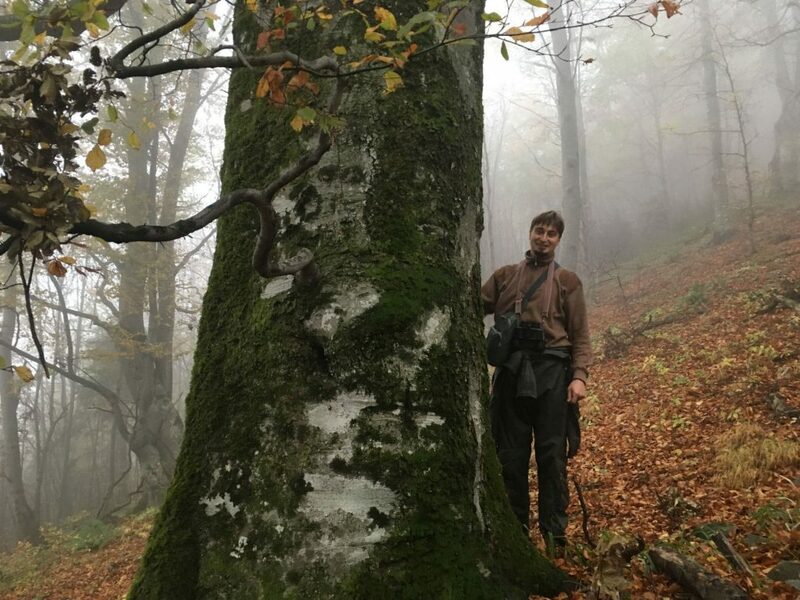 Based in nine European countries, the sixteen participants represented seven rewilding areas and two members of the European Rewilding Network. The team of eager rewilders discussed how to create and maintain enthusiasm for wild nature and the group’s rewilding work. 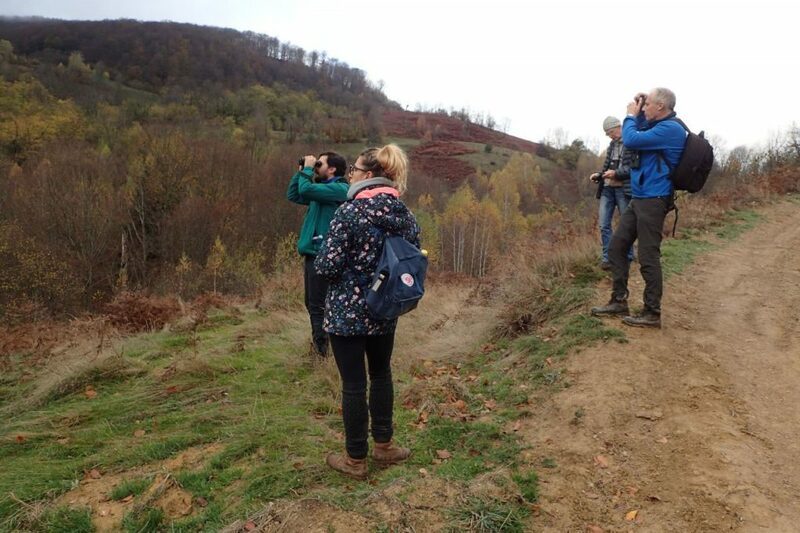 The pan-European group, representing the Ukraine, Romania, Portugal, Croatia, the Netherlands, Italy, Latvia, Bulgaria and Poland, discovered that they not only shared a common trust in nature, but also a common belief that working collaboratively is the best way forward for securing a better future for European nature. The sharing of knowledge and experience among participants was instrumental to the success of the course. Elma Duijndam and Frank Zanderink from ARK Nature did a great job as lecturers and moderators of the course. 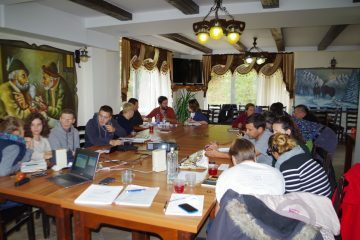 With a set programme, training modules and presentations by each rewilding team, there was a tight schedule to follow. During the four days we touched on the theory behind nature education, discussing how best to set goals, choose methods for specific target groups, use communications tools and evaluate results. The sharing of experience was instrumental to the course. 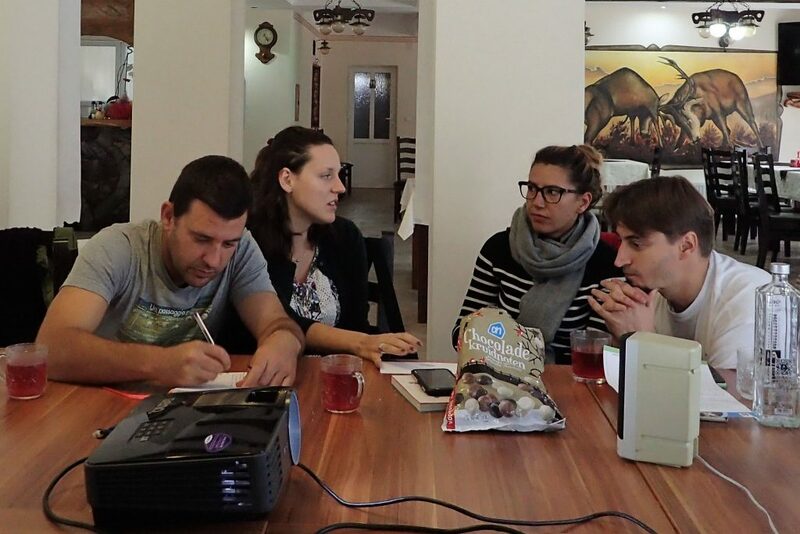 This resulted in the sharing of numerous inspiring examples: from using webcams in Latvia and puppet show performances in Portugal to building an information centre with the local population in Romania and classes on the role of camouflaging in wildlife observation in Poland. 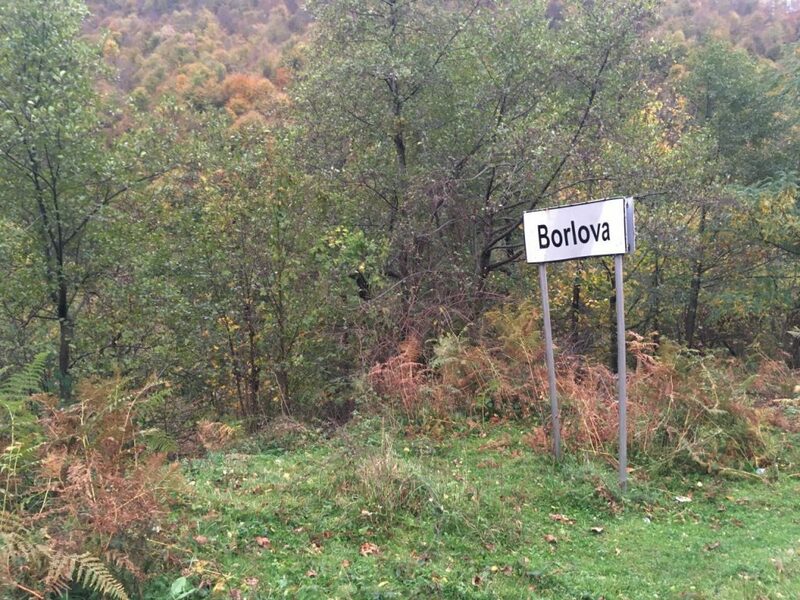 There were also pressing questions to answer: how to ensure that the presence of brown bears in Italy is seen as something positive by the local population? How to ensure that people in the Ukraine do not expect huge changes several months after the start of a local project? The balance between theory and practice, and the clear structure of the programme, was highly appreciated by all involved. The work was undeniably intensive. But, as one of my colleagues aptly put it: “I never had a boring moment”. A particularly stimulating and challenging part of the programme was a discussion about how to make people enthusiastic about wild nature, how to engage them in simple nature education activities, and how to manage outdoor activity groups. During educational activities in nature it is important to focus on people’s individual needs. 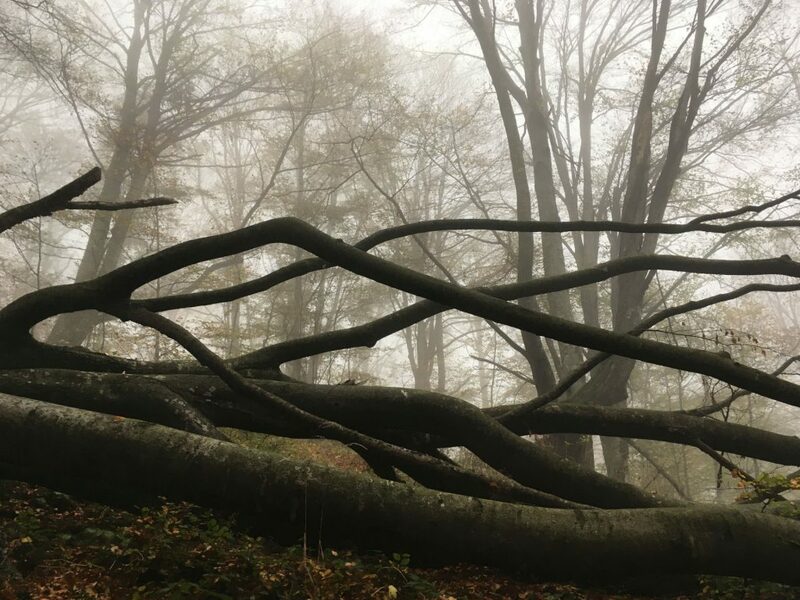 Following on from the theoretical morning discussions, afternoons were reserved for practical exploration of Southern Carpathian wild nature. Frank and Elma had a group of sixteen nature lovers observe their own behavior while searching for bison and hiking. We were asked to think about how best to share our appreciation for nature with other people from different age groups and backgrounds, and how to attend to the needs of every individual. 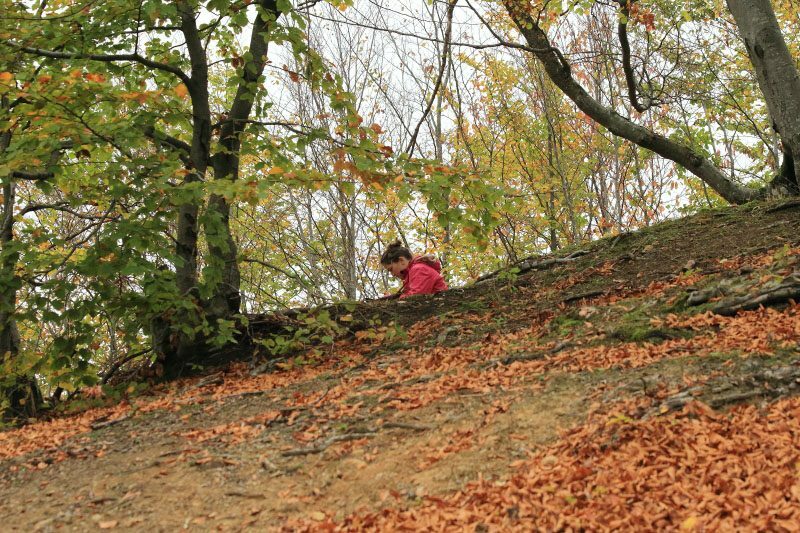 Best practice in nature education is closely tied to the personal experience of the individual, with social interactions the key to creating positive emotions. One interesting outcome was a deeper understanding of how to educate children gained through group discussion. A question about the moment we discovered our passion for nature made us look deep into our childhoods, remembering the moments, people, books and experiences that have since shaped our beliefs and brought about careers in rewilding. Sharing this very personal and long-buried memory with other members of the group allowed us to create trust and enabled us to really be open with each other during course sessions. 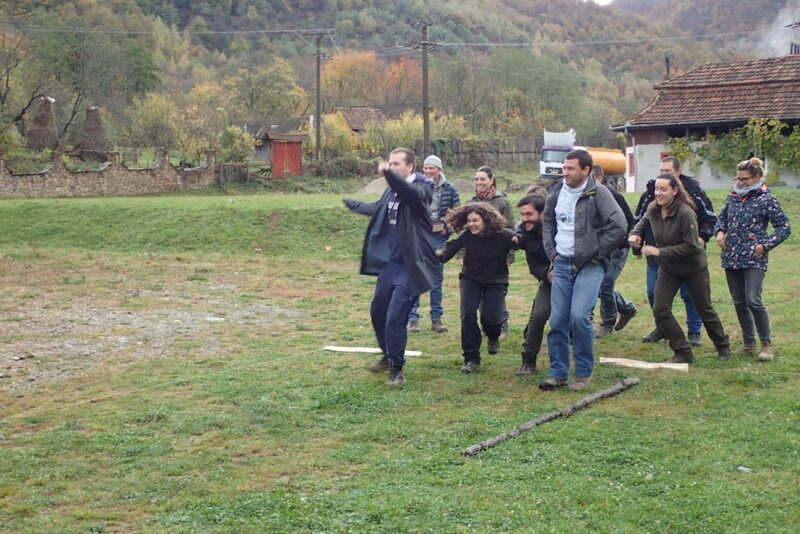 The group also learned several effective outdoor education games for children by actually playing them. Working for nature not only involves fieldwork but significant time in the office, so this was something most of us hadn’t done for a very long time. Getting into a child’s mindset was a great way of understanding how to connect children with nature. The last day of the course saw us sharing best practice on how to foster local commitment to nature and organize volunteer groups, eco-clubs and student programmes. Elma, a schoolteacher by profession, had her work cut out keeping us all in order. At times I had the distinct feeling that I was back in class! Nature education course in Romania. 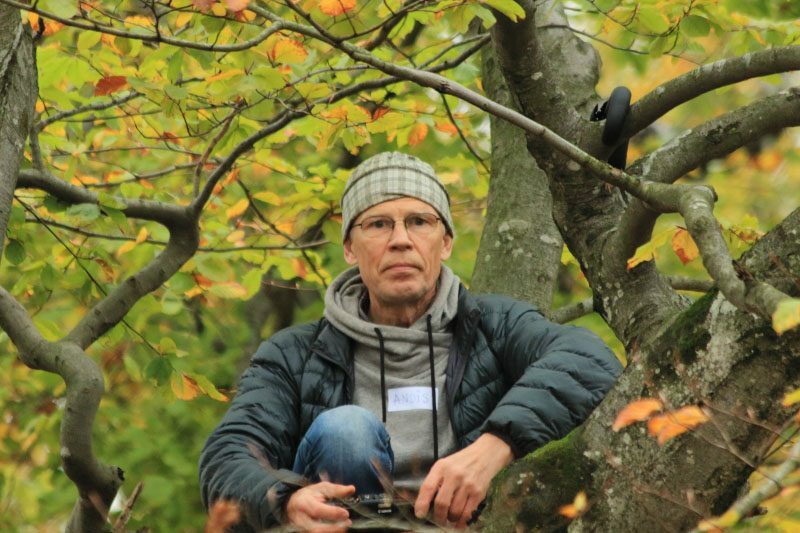 Andis Liepa from the Latvian Ķemeri N.P, member of the European Rewilding Network. Oleg Diakov from Danube Delta (Ukraine) rewilding team. 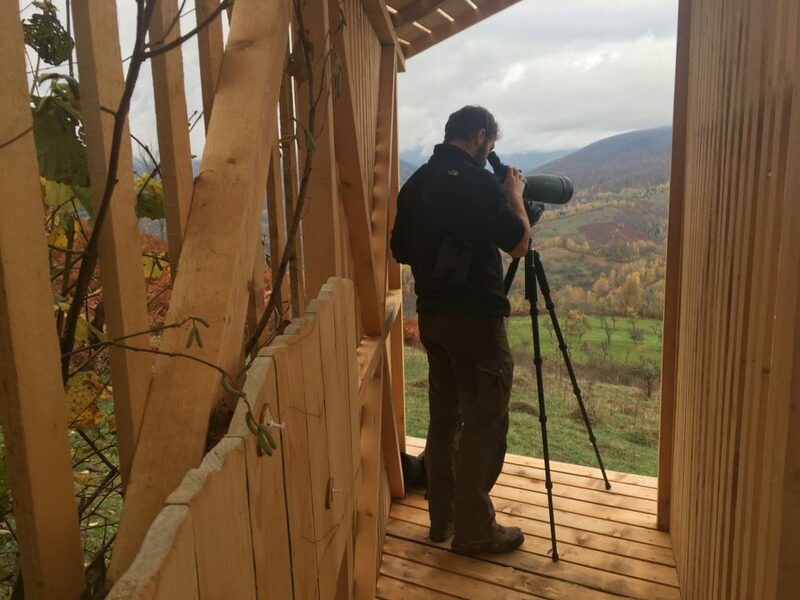 Adrian Hagatis from the Southern Carpathians team searching for bison. 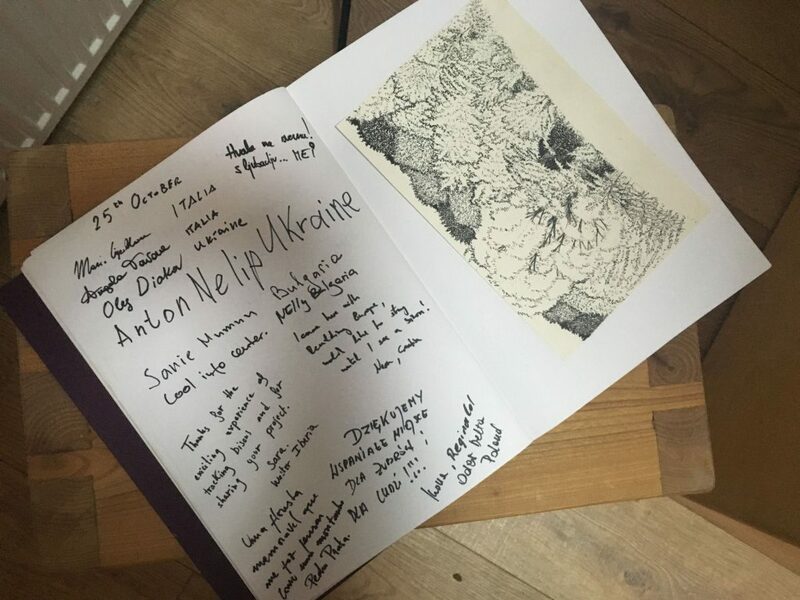 Messages from the course participants written in the Armenis centre guest book.